Now I have no way to tell for sure, but this must be one of the youngest, if not THE youngest cover model that Elle magazine has ever had. 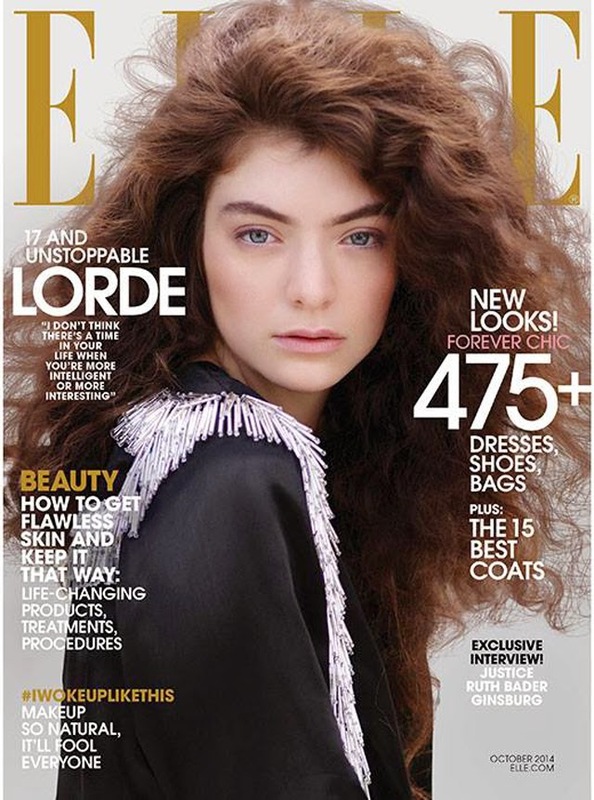 17-year-old Lorde is Elle's October 2014 cover girl and, yes, she is a fresh faced 17-year-old that has seen more of the world than most since her career took off. And how many 17-year-olds can say they're on the cover of a world renowned publication wearing a creation from Lanvin? I certainly wasn't saying that at 17. I think I was at home begging to be taken to the mall to buy a pair of Gap jeans.